If someone asks you ‘where does light come from’ you will immediately point to the sun. Even the trees and flowers know that. However, that answer is not really answering a lot. Was there no light before the first star was created? We know this is not true. Where does light really come from? First we must understand how a star produces light. What happens inside the star that releases light? Simply said, Gravity compresses gas molecules creating a massive cluster of gas matter. This means more energy in smaller place; more heat and higher temperature. Higher temperature means the atoms move so fast that, at a certain point their protons cannot avoid collision because of magnetic repulsion anymore. So when 2 protons collide they release a slight amount of mass and one of the protons becomes a neutron. Like this, they are able to stick together and join with another pair forming a helium atom. The mass that escapes the atoms through this process is released as energy, light. The light that comes from the sun is actually the mass that is released from the protons of hydrogen atoms when they collide. But where did this light come from in the first place to be stored in a form of mass inside a hydrogen atom? To answer this we have to answer how The Universe began. 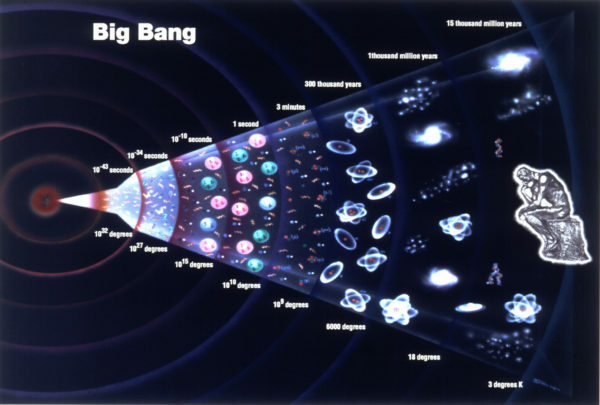 The Big Bang theory suggests that there was a singularity at the beginning and from this singularity energy was released creating The Universe and embarking on a journey to forever keep expanding it. Some other theories suggest that The Universe is in a constant cycle of contraction and expansion and exists eternally. It expands to a certain point, then it starts to contract again reaching a point of singularity, and then it starts expanding again. There is a theory that The Universe is one of many which interact with each other, pushing and pulling, and sometimes colliding with each other creating a new one. And some even say that all of these theories can be true at the same time. However, none of these theories answer where did energy first come from? 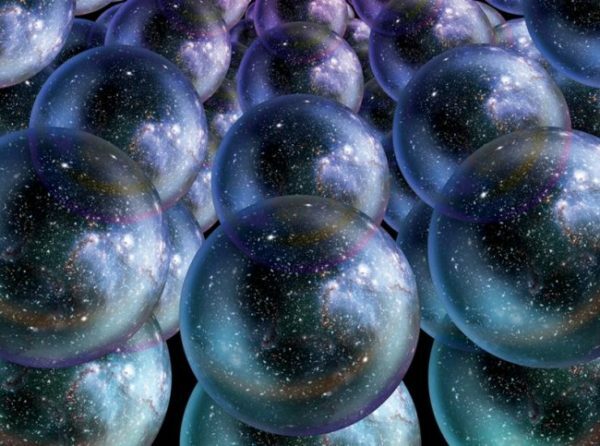 Let’s say that there is a Multiverse of Universes where they interact with each other. Once 2 Universes collide with each other they produce a third one that starts from singularity, keeps expanding, reaches a point when it starts to contract again, reaches a singularity, starts expanding again, and keeps doing this eternally. You need to understand that all of this happens beyond time. We speak about multiple Universes here which means we talk about multiple times all at once. The point of singularity holds the key to our answer! 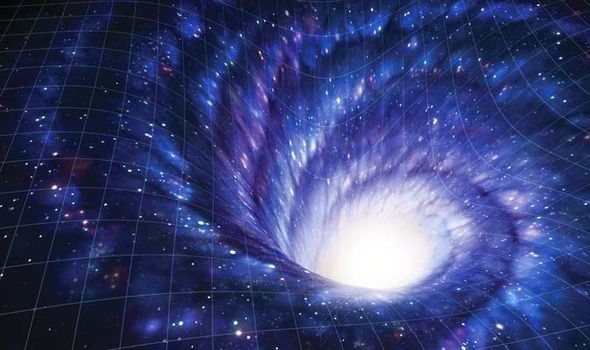 Is it possible that the point of singularity is like a doorway, a window for new energy to enter inside this pool of Universes from some higher dimension, beyond the Multiverse? Think of it like this. There is air all around soap bubbles and there is also air inside them. Each soap bubble is like a separate Universe floating around in the air. If something breaks the soap barrier, and for the sake of this argument let’s say the bubble doesn’t burst, more air will enter the bubble. 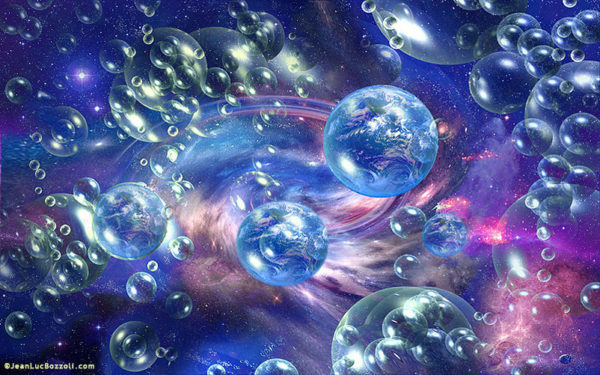 What if The Multiverse is like many soap bubbles floating in energy, and when singularity happens the ‘soap barrier’ is broken and new energy enters inside? So where does light really come from? The sun releases 4,300,000,000 kg of mass per second to be precise (that’s some impressive diet plan right there). But THIS fact and the meaning behind it irritates a DEEPER question to ponder about, WHERE DOES LIGHT REALLY COME FROM? Light is both a particle and a wave, it’s constant and it seems like nothing can go faster. It’s like a barrier that ‘shapes’ The Universe in the fourth dimension. What if the nature of light appears so strange to us because light doesn’t come from inside The Universe we are in? Light can be the substance that The Multiverse swims in, like air is to soap bubbles. And when each Universe reaches singularity more light is introduced inside. This light is stored as matter and the first atoms are formed, stars are created. Protons collide, the light is released and the star shines. This light powers the planet, it creates the system of Nature, wind, oceans, fires, trees, flowers, different life forms, animals, food, and of course, you. Light is what gives energy to everything and through this process produces consciousness, something that sits between the eternal light and infinite intelligence!